Hiddentec tracking devices, specially designed for use by police and military, are currently in use by law enforcement officers in the state of Florida, where Hiddentec’s USA office is located. Rapidly deployable magnetic tracking equipment used by Sheriff Michael Chitwood of the Volusia County Sheriff’s Office demonstrated the capabilities of our technology, and aided law enforcement officers as they acted to reduce the incidence of crime in the area. 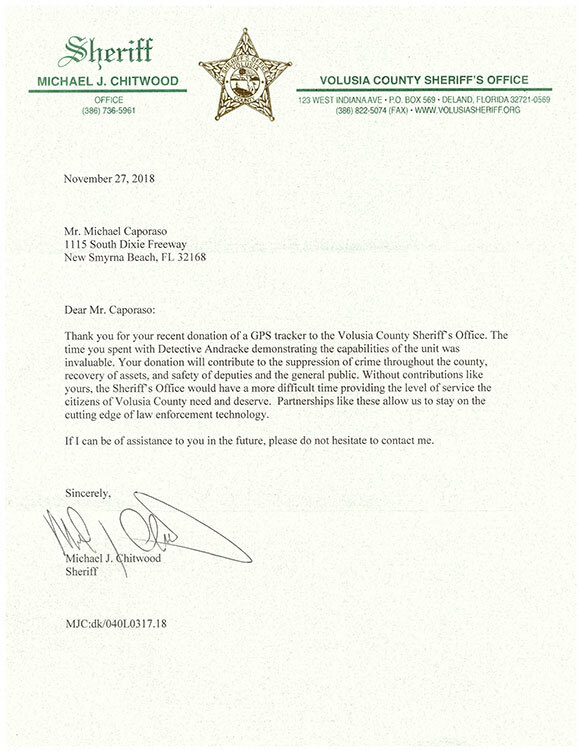 On seeing the performance of Hiddentec’s trackers, with their high build quality and advanced power management features, Sheriff Chitwood wrote to Hiddentec, graciously thanking us for our assistance which will “contribute to the suppression of crime throughout the county”. 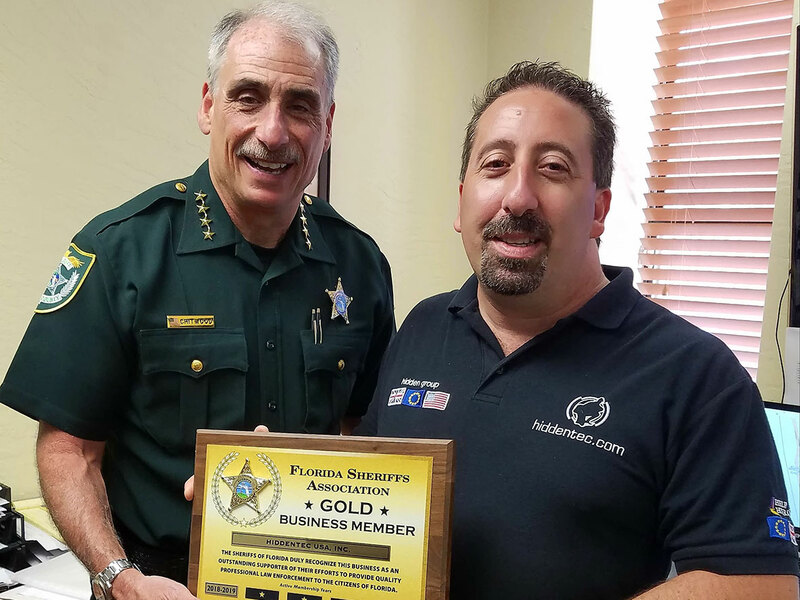 Hiddentec look forward to working with the Sheriff’s Office for years to come, and are keen to share this success with other Sheriff’s Offices in Florida and elsewhere. If you represent a Sheriff’s Office or other law enforcement agency and would like to learn more about how covert GPS tracking can provide valuable assistance, please contact Hiddentec today!